Grab an ice cold brew featuring an assortment of local and domestic beer. Enjoy an assortment of wine by the glass or bottle. Choose between a variety of our homemade Sangria that is loaded with fresh fruit. Our non-alcoholic selection includes fountain drinks, ice tea, various juices, hot tea, and coffee. Ice water is also availible upon request. Tantalize your palate with our mouth-watering clams & oysters on the half shell. Pick out the exact size clam that you enjoy while our bartenders shuck your order to perfection in front of you. We carry the finest local oysters availible and we serve these shellfish delights with homemade cocktail sauce, horseraddish, hot sauce, and/or lemon wedges. 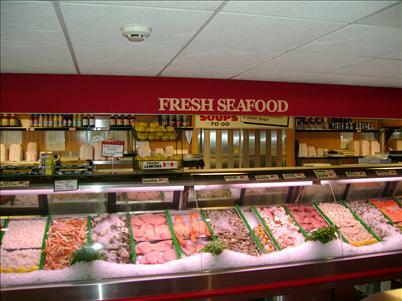 All our shellfish is New York certified quality. Guaranteed from safe certified waters. Thank you for dining at Southside Fish & Clam, where the food is memorably delicious. We take pride in serving only the freshest quality seafood and other fine foods in a friendly and informal family atmosphere. Enjoy your stay here.